Not sure how you feel about a suitor? Or are too many sweets affecting your waistline? 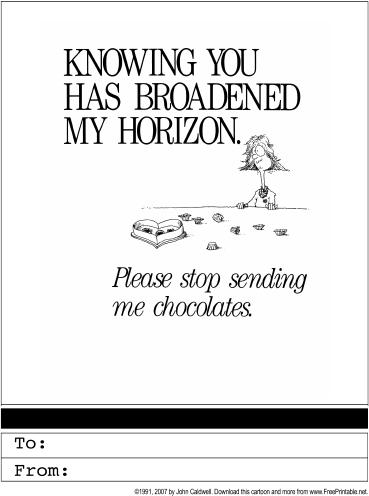 Send this Valentine stating: Knowing you has broadened my horizon. Please stop sending me chocolates.